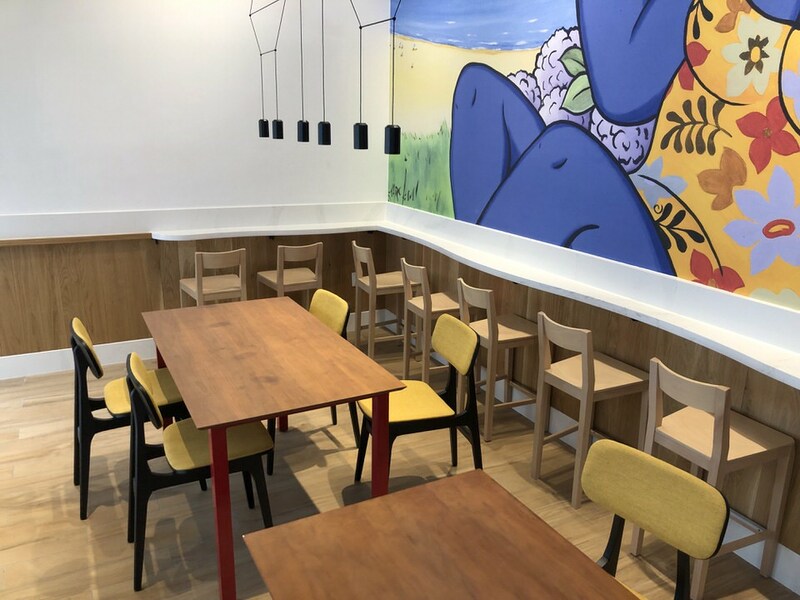 Pepe by José Andrés is the latest quick service restaurant to open at Disney Springs and brings with it a menu full of hot and cold Spanish sandwiches, gazpacho, salads, and more. 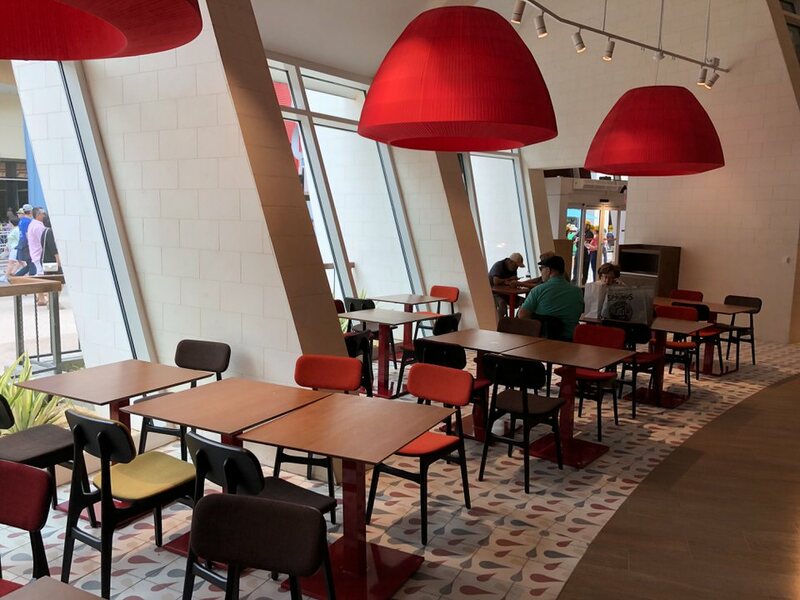 The restaurant is inside Jaleo by José Andrés, which is located directly across from Splitsville and Bongos Cuban Cafe in the West Side of Disney Springs. It celebrated its grand opening on March 17, so I made my way to Disney Springs to sample some items from the menu! 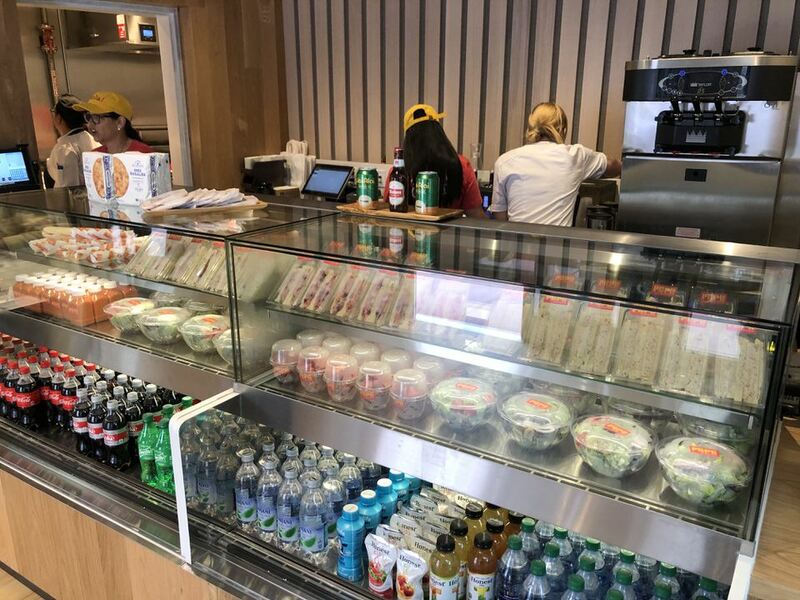 The menu at Pepe is broken into four main sections: Pan de Cristal, Pressed Bikini Sandwiches, Sandwiches on a Roll, and Cold Sandwiches. There are also a handful of sides, two salads, soft serve ice cream, Sangria, wine, beer, and other beverages. The price of a sandwich is in the range of $8 – $14 with the sides priced between $4 – $6. After factoring in a drink, you’re looking at a meal that will set you back between $20-$25 depending on whether or not you order alcohol. 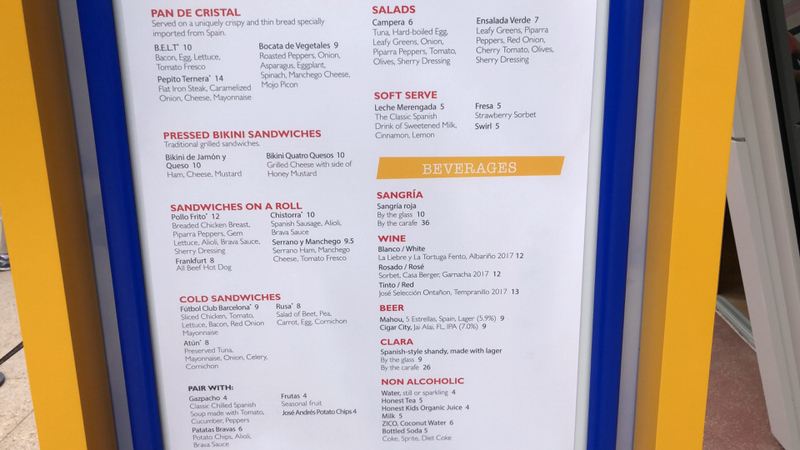 It’s not the priciest menu you’ll find at Disney Springs, but it’s also not the cheapest quick service option available. The most interesting part of the menu is actually how you order from it. There was no formal line once I made it inside the building. There were several Cast Members stationed around the counter who were happy to answer questions and make recommendations and then when you were ready to order they were able to do so from a handheld device. 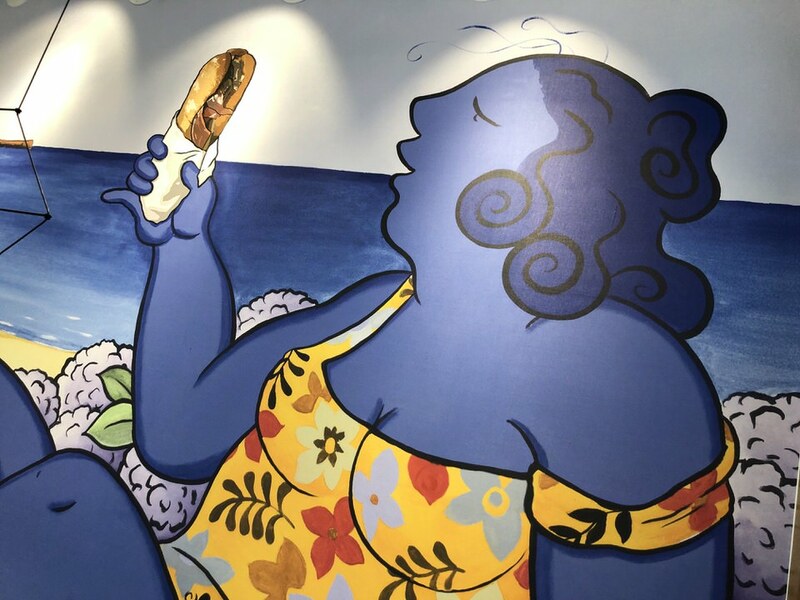 You could also order from the one register at the counter, which I did, but the experience was the same – friendly Cast Members and a smooth process. You can place your order for dine-in or to-go. Regardless of what you choose, they’ll call your name out when your food is ready, but it’s loud so stay close to the main counter. 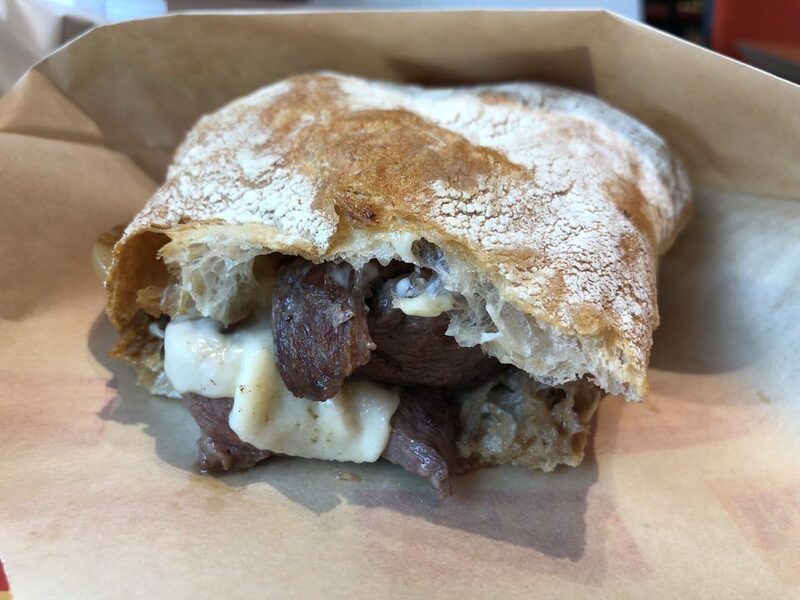 This sandwich is under the Pan de Cristal category, which is sandwiches served on a uniquely crispy and thin bread specially imported from Spain with Flat Iron Steak, Caramelized Onion, Cheese, and Mayonnaise. From first appearances, the Pepito Ternera doesn’t look like it could possibly justify the price, but it absolutely does. Some say that a sandwich is only as great as the bread it is on and it rings true in this case. The bread is crisp and balanced the softness of the steak and caramelized onions. The bread can get slightly mushy if you let it sit too long, so eat it fast. As for the steak, it was cooked around medium-well, but it was tender, juicy, and not even remotely tough. The caramelized onions added a bit of sweetness to balance the savoriness of the steak, cheese, and mayonnaise. It is a bit of a splurge, but one worth taking if you really want to dine here. This sandwich is under the Pressed Bikini Sandwiches category, which is traditionally grilled sandwiches, and is Ham, Cheese, and Mustard. 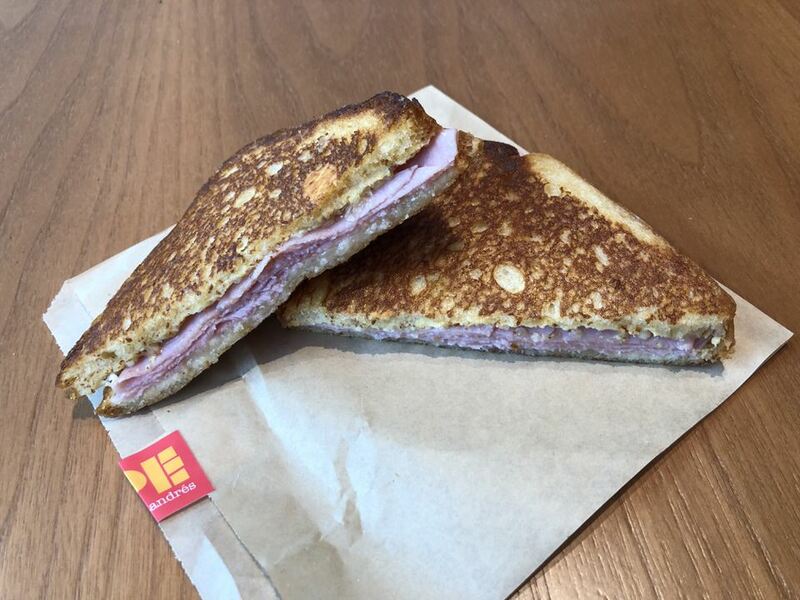 For those of you at home doing the math, it’s a grilled ham and cheese – just like you’d expect to find at a diner. That’s not to say that this isn’t a good choice, but it’s very basic. The sandwich was grilled perfectly with no part being burnt, just slightly browned. The mustard tasted like it was a spicy grain mustard, which added a zip against the ham and cheese. 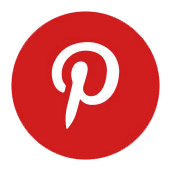 If you’re a picky eater or just in the mood for some comfort food then I could recommend it. Otherwise, you’re paying $10 for a basic sandwich with no sides that you’d find for $7 at a diner with a side of fries for good measure. This sandwich is under the Sandwiches on a Roll category, which is self-explanatory, and is Serrano Ham, Manchego Cheese, and Tomato Fresco. 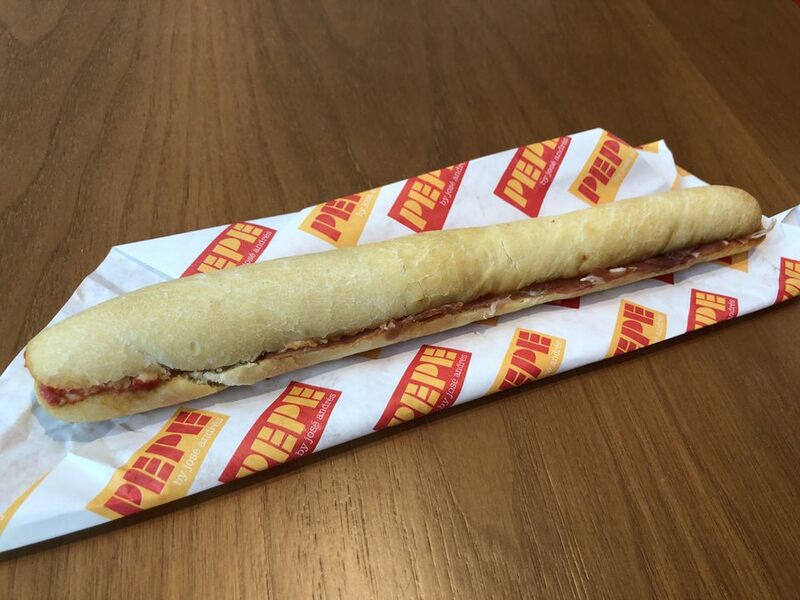 This sandwich is one you’ll see in the counter as you walk up to order and is essentially a footlong roll that is only about an inch thick, so essentially it looks like a long breadstick with some toppings inside. The Serrano ham definitely elevated this sandwich to the next level and took it from basic to unique with the extra hint of saltiness and spice. The tomato fresco and Manchego cheese were present, but not overpowering. The Serrano ham did the brunt of the work in terms of flavors. It was a tasty sandwich, but it’d be hard to justify the price for such a small sandwich if you’re used to eating American portions constantly. The one aspect of this meal that too me by surprise was the chips. I’m not a huge fan of Gazpacho, so I opted for the chips as a side thinking that they would be made in house, but they aren’t. 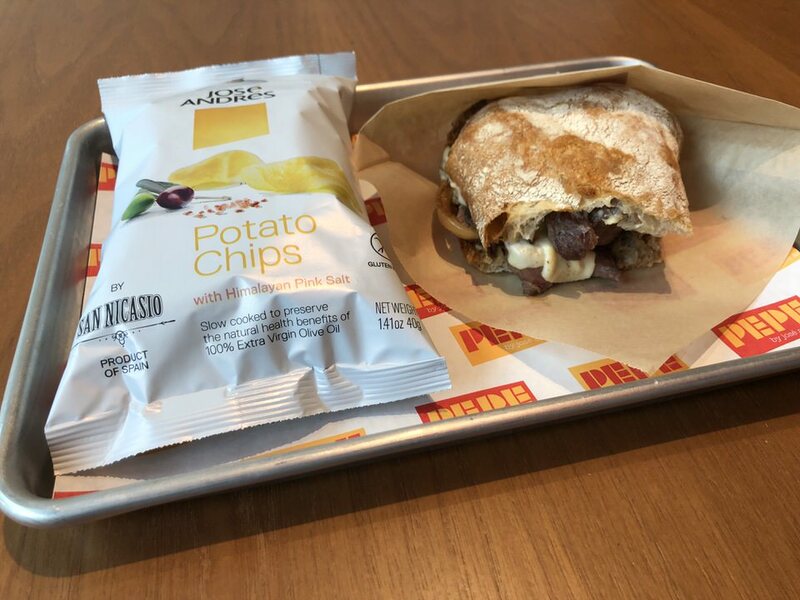 The bagged chips are branded José Andrés chips, but they are simply bagged chips. 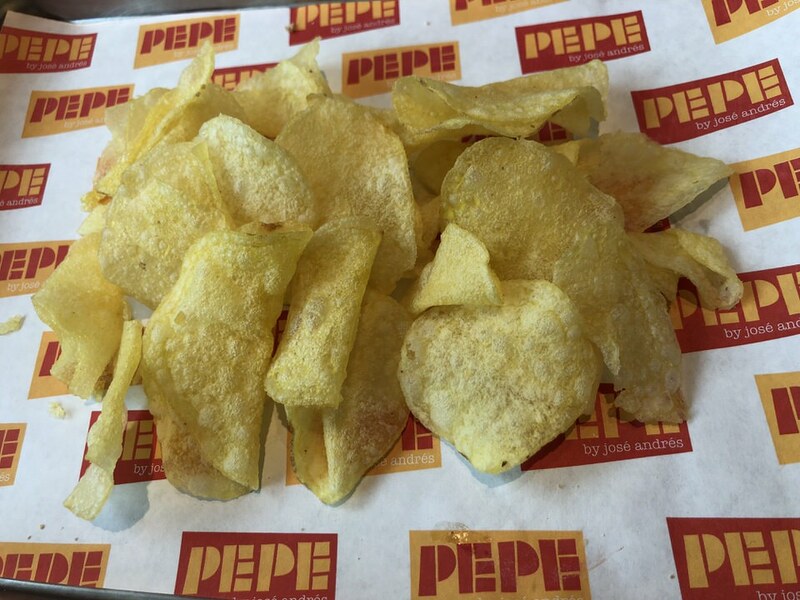 Yes, they are made in Spain and are baked with Himalayan Pink Salt, but they are simply bagged chips. If you are a local or have a rental car, do yourself a favor and drive to the closest grocery store you can find, buy a large bag of your favorite chips, and bring them with you to share instead of spending $4 on these. They aren’t bad, but they are simply bagged chips. Did I drive the point home? 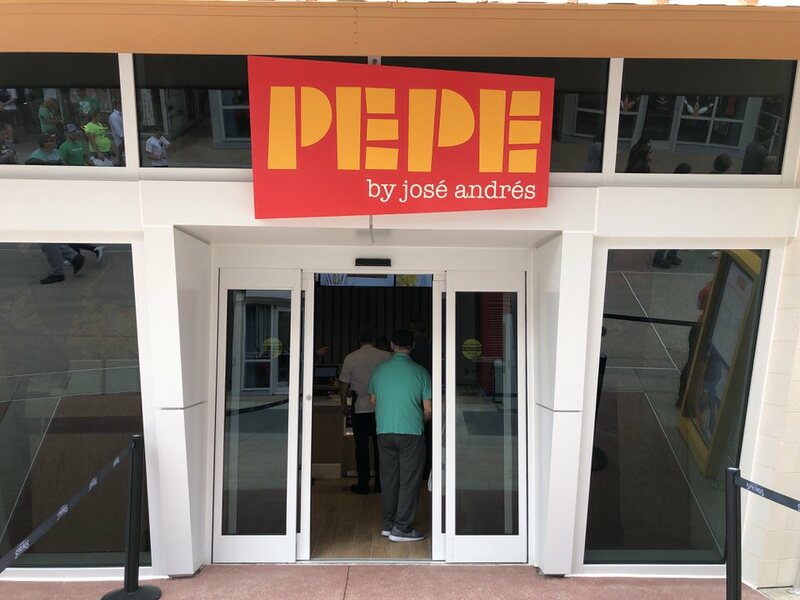 Should I eat at Pepe by José Andrés? If you feel like you’ve eaten everything Disney Springs has to offer and you want to try something new then absolutely! Based on the three sandwiches I tried, everything seems to be very delicious. It is slightly overpriced for what it is, but there is a level of quality there that slightly justified it. You’re going to get a better value out of Chicken Guy or Blaze Pizza, but it’s very different cuisine. The seating area was small and divided into two sections. At first I was concerned it wouldn’t be enough, but I have a feeling that they have more than enough seating for what the demand will be. Overall, you won’t make a mistake by checking it out, but I wouldn’t say it’s a must-have for every trip to Disney Springs at this point.